In the exceptional setting of the Loire Valley and its castles, discover the pleasure of learning French by practising daily : French lessons in total immersion at the teacher’s house. An introduction to the French language, to improve your French. A mixture of learning and pleasure, culture and fun. Experience the art of French living in a homey environment. Discover the richness and heritage of an authentic land. NéfliLang offers a pleasant living environment at our B&B « LES NEFLIERS » in AMBOISE (37), and quality support from a French teacher credentialed by L’Alliance Française. French lessons in total immersion in a typical French house in The Loire Valley, “ LES NEFLIERS”, located less than 2 km from the Château of Amboise. 1-2 students maximum (with compatible levels). Shared daily activities : meals and excursions (castles, caves, troglodyte houses, museums, and mushroom harvest sites) will effectively complete our dynamic educational activities, which are conducted through face-to-face interaction, round-table discussion, role playing, and video learning. Customized French lessons, personal supervision and follow-up, depending on your specific needs. 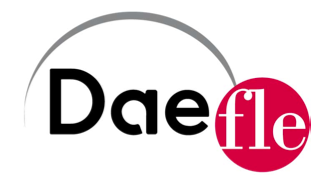 This program can be tailored for people who are studying for the DELF and DALF exams. The exams take place in EUROCENTRES AMBOISE or INSTITUT DE TOURAINE in TOURS, according to their schedule.